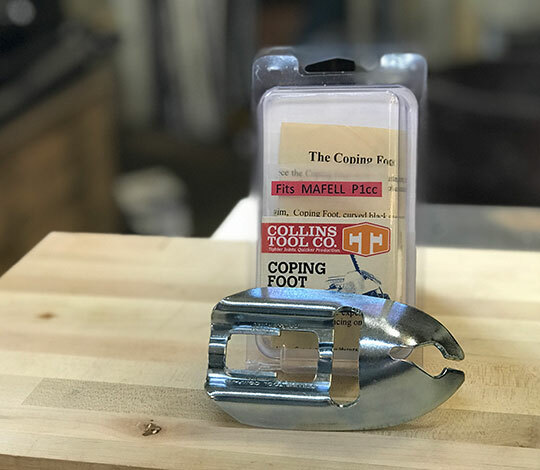 Coping Foot - Collins Tool Co. The Bosch 1590 and 1591 are NOT compatible with the Collins Coping Foot. 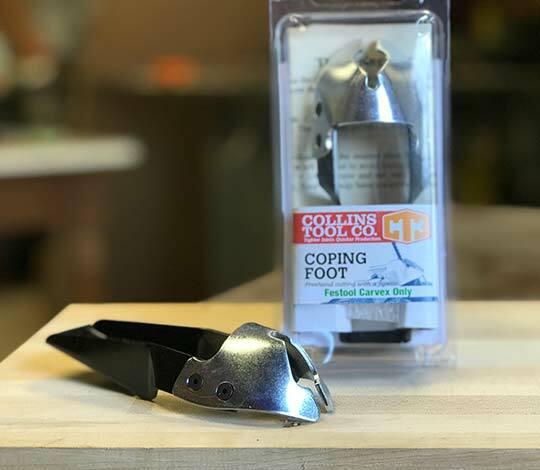 The Coping Foot is a dome shape base for the jig saw that allows you to bevel, turn and pitch the blade while changing any of those angles during the cut. Any way the blade is angled the saw is supported right at the kerf. Making a twisting cut such as you would find in a spiral handrail is a skill easy to learn with a coping foot. 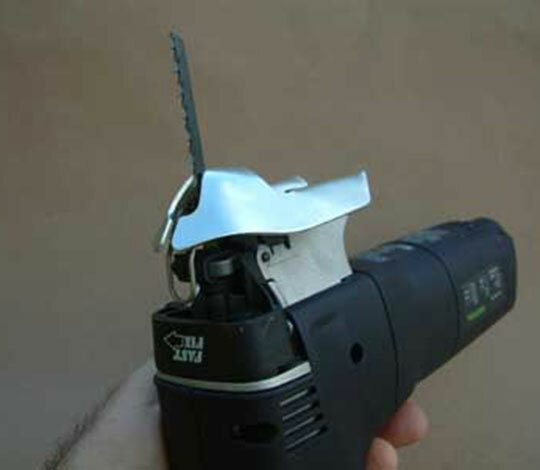 When the saw is held by the barrel with the blade up, very clean, accurate and complex cuts can be made such as you would encounter coping crown molding. The Coping Foot is very compact. You can saw very close to other obstacles. Do a sink cutout up against a back splash for instance or cut a bottom plate next to a stud. Any big scribing job is much easier with a Coping Foot because you can back bevel at will without making any adjustments to an adjustment screw. Finish carpenters use the jig saw mostly for back beveling irregular lines, and so the Coping Foot becomes the ideal base for the jig saw. 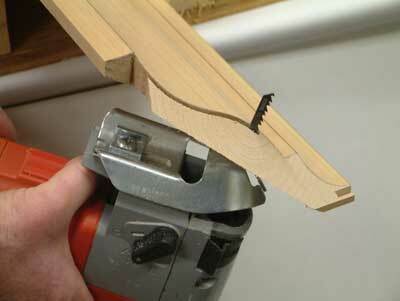 Many carpenters never change back to a flat base unless they need to scroll. The Coping Foot is formed from 14 ga. plated steel. You’ll wear out a couple of jig saws before you wear out your Coping Foot. Collins Tool Company is not a “buy and sell for profit” retailer. 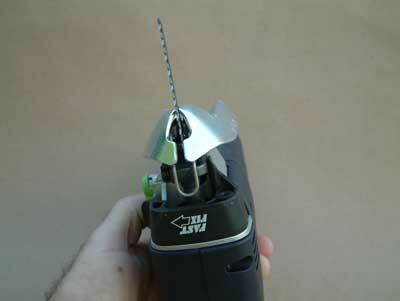 However, our customers frequently ask what kind of blades work best with the coping foot. 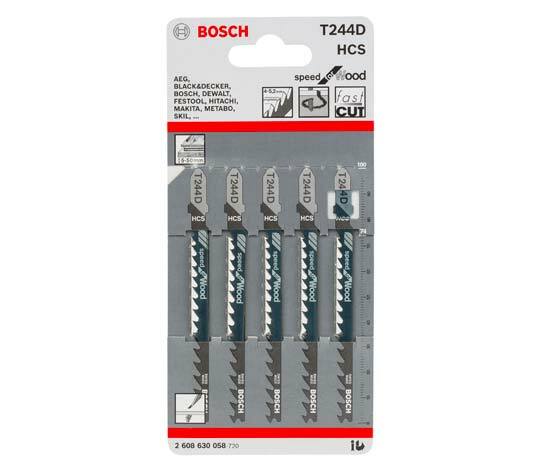 Mr. Collins likes the Bosch T244D more than any other blade, and for your convenience we stock a few. 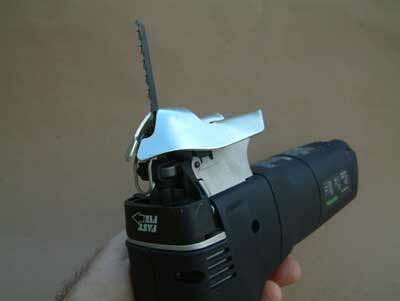 We like this blade because we can turn fairly sharp with it. It is an aggressive 6 tooth with good set. Though it would seem at first glance to be too coarse for smooth cutting we point out that cutting from the back side of the stock produces a very crisp, clean edge and even with a coarse set you can split a line. If you do not have any 244’s, try them. We are sure you’ll be very pleased.